We had an informative meeting in the Aegis on Galer “Pike Market” meeting space. Advocates for safe and comfortable streets for all ages, to walk or bike to where they need/want to go. Project type – safe streets for pedestrian and bike that are outside main thoroughfares. Organized through a coalition of local/neighborhood groups. 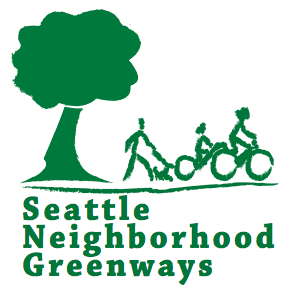 There are 20 neighborhood Greenways. Each neighborhood group brings projects to SNG to support through advocacy. QA Greenways brought the Uptown and SLU connection as a focus to SNG. Organizing model is that each neighborhood group determines their priorities are. SNG supports with mapping, advocacy, advice, support. Focus has expanded to include broader goals beyond just safe byways outside of major thoroughfares to include: signals, crosswalks, and accessible routes across major thoroughfares. In past 5 years SNG has influenced $30-40m street funding towards safe streets. Of the 13th projects that were given NSF $ this year, 11 were neighborhood Greenway groups. Negative perception of safety improvements interpreted as causing congestion, but doesn’t feel accurate. Is it? Of the 34 road ‘diets’ implemented and tracked – peak speeds are reduced but metro speed better, traffic flow has improved, injury dropped by ½. Streets should be designed for people to use safely so that no one is injured = zero. City has bought into in theory but has not yet allocated $$. There 20 groups, is the whole city covered or are there gaps? Yes, there are gaps – Magnolia is one; West Seattle has only one group, but the area is too big for one group; Downtown should have one. Connected network of safe streets for people of all ages, incomes to get around. What has QA Greenways proposed as our lead projects to SNG? Mark O attends core meetings (monthly, on the 23rd) and communicates these to SNG. QA Greenways need to determine our key projects for 2017. Laurie Ames reminds us to keep in mind the Neighborhood Matching Fund – including Small Sparks for up to $1000- applications year-round. 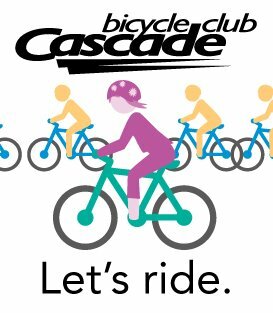 Safe-routes to School – mini-grant (up to $1000) Paperwork is easy. Need to get school principle support (end April+ end Oct). SNG has lots of ideas of what we can do. Up to $1000. Queen Anne did not get any applications approved. Discussion – grants rewarded to communities where inclusion (race and social justice), equity are redressed and where there is density. Generally grants appear to address terrible situations in need of improvement. Ours were, maybe, more “nice to have”. We need to think how our proposals serve citywide needs. Next opportunity will be in three years – 2019. Proposed that Shaun and Juliette to run the planning for next year’s Play Street. Considering applying for a Festival Street to make it easier to put on many Play Streets per year. Application needs to be approved by the District Council, the status of which is still unknown. Michael has information about complaint(s) expressed to the QA Farmer’s Market about the Play street. Requires follow-up with Ms College (president of Farmer’s Market board) and market director, Brittany Ryan. Plan to initiate community involvement in designating loops and access at the next General Meeting. Consider inviting Bill’s Magnolia contact, who is working on a bike trail access from the waterfront, to this meeting. TO DO – follow up with Cathy to get big laminated map (Juliette). Buses are loading/unloading 8 buses delivering 4 doz students from various parts of the city. There is concern that this use compromises the Boulevard’s park-like quality and adversely affects bike/pedestrian safety. Bus zone was put on the Boulevard without parks approval. Next General Meeting: January 24th.